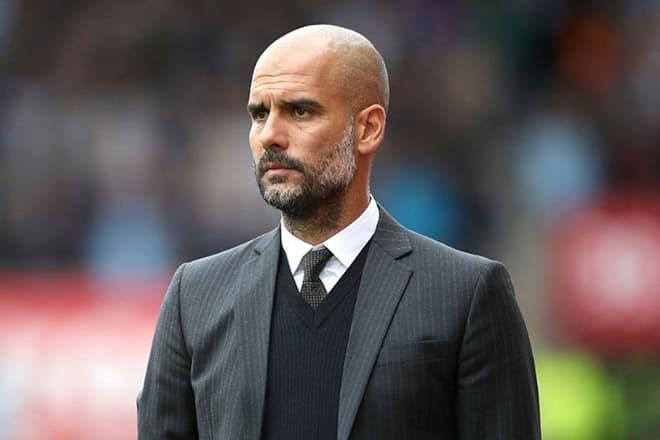 Josep Guardiola is the former soccer player and the current coach of the English club Manchester City. In his career, he was the defensive midfielder in Barcelona, Brescia, Rome, Al-Ahli, Dorados de Sinaloa, and the Spain national team. At this moment, he is the most award-winning coach in the history of Barcelona. 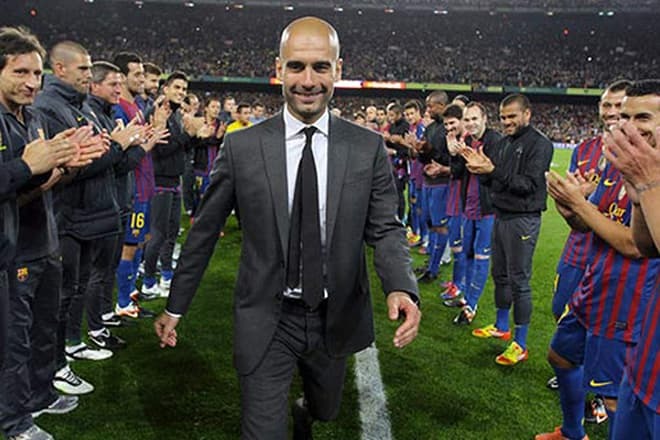 Josep (Pep) Maria Guardiola Sala was born on January 18. 1971, in the province Santpedor, Barcelona. The would-be coach’s father Valentin worked as a bricklayer, and his mother was a housekeeper looking after children. As soon as Guardiola saw a ball, he fell in love with soccer. It happened during the field demonstration of Manresa school trainees. Eventually, the parents took the boy there. Barcelona scouts noticed the boy and offered him to try himself in their club. Although the small and thin teenager did not impress the Barcelona academy coaches, the administration decided to accept the 13-year-old sportsman. 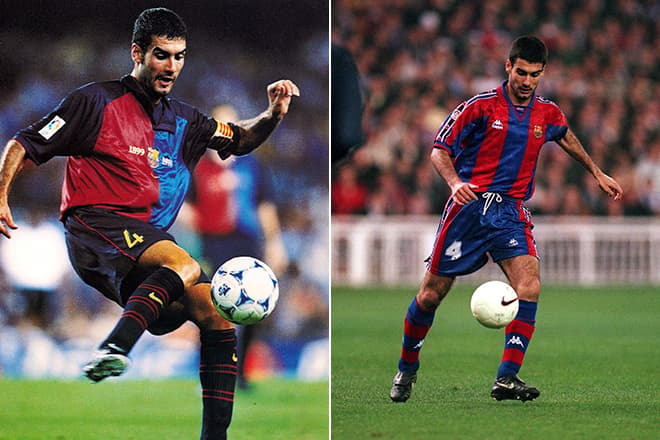 Guardiola played in the youth team and delivered balls to adult players at Camp Nou. At that time, Josep dreamed of being similar to his icon Michel Platini; he even had his photo in his room. In April 1986, Barcelona defeated the Swedish Gothenburg in the penalty series and reached the Champions Cup final. Guardiola was so happy that he ran to the field with other boys to hug the heroes of the match. Photographers took pictures of Josep, but nobody took notice of the boy at that time: he was one of the many who were cheering that evening. In the course of time, Josep mastered his skills. 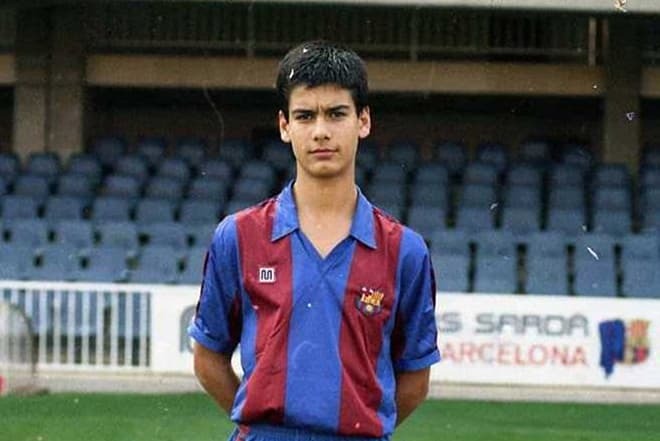 He was waiting for the moment he would receive the invitation to Barcelona main team. In the late 1980s, Real Madrid was the strongest team in the country while Barcelona was left on the secondary position. This changed in 1988 when Johan Cruyff became the head coach. It was Cruyff who gave Guardiola the chance to show his talent. Josep debuted in the main team in December 1990 in the domestic game against Cádiz. In that season, he had four games and was sent to the second team for the absence of results. Gradually, Josep turned into the key midfielder and the symbol of the Catalonian club. He also became the captain. Coaches followed one another, but all of them had to take into account the player worshipped by fans. Apart from Barcelona, Guardiola played for Brescia, Rome, Al-Ahli, Dorados de Sinaloa, and the Spain national team. As the field player, Guardiola became the champion of Spain six times, won the country’s Cup twice, and held Supercopa de España four times. In 2006, Guardiola finished his field career officially and became a coach in the third-division club Barcelona B. The team had the chance to reach the second division, and the club’s administration noticed that. In 2008, Guardiola changed Frank Rijkaard and headed the main team. The young mentor of Barcelona started with revising the lineup; many strong players, for instance, Ronaldinho, left the club at that period. In the first two tours of the championship, the renewed team lost and had one draw. However, the series of 22 victories followed. In this season, the Catalonian team defeated its permanent rival Real Madrid twice. The team conquered Europe and won the Champions League. Eventually, Guardiola managed to gain the triplet and won all the trophies possible. In 2012, Josep became the best coach of the year: he managed to surpass Alex Ferguson and José Mourinho. However, the further development of events brought bad luck. Barcelona lost to Real in the domestic match; later, Chelsea defeated the team in the Champions League semi-final. Soon, Guardiola said he had reached everything he could with the Catalonian team and left. 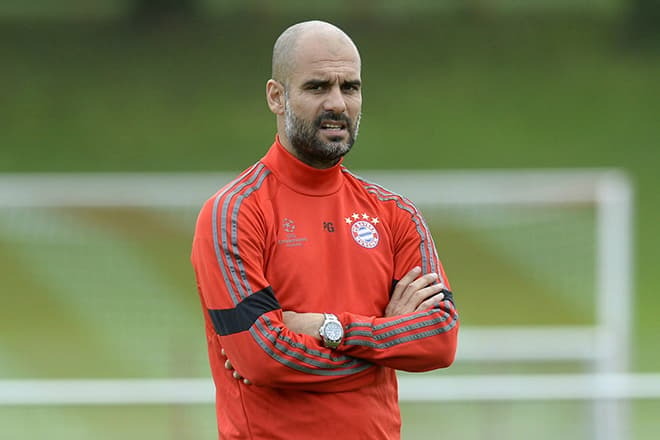 In summer 2013, Guardiola joined Bayern Munich. Before that, Bayern won three most prestigious European trophies, and many people said such a strong club did not need this coach. Eventually, in the 2014-2015 season, Bayern was defeating its opponents and winning new titles. 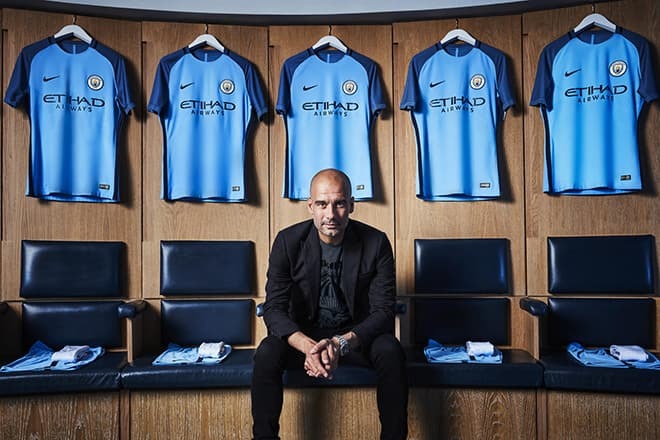 In February 2016, Manchester City announced it signed the three-year contract with Guardiola; his annual salary was €20 million. In the first official match, Pep’s team defeated Sunderland with the score 2:1. Changing the team’s primary goalkeeper became one of the most significant actions of the new coach: instead of Joe Hart, the Chilean player Claudio Bravo was selected. In spring, Manchester City lost to Monaco in the 1/8 final game and left the Champions League. Later, the team did not succeed in the FA Cup and lost to Arsenal in the semi-final. The Premier League results were not better as well: Guardiola’s team placed third in that season. 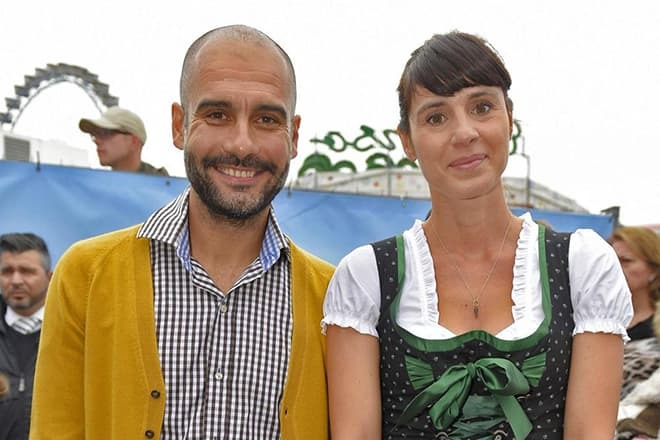 Guardiola is officially married to Cristina Serra. The young people met in a clothes shop; at that time, the future soccer star just turned 18. In this marriage, three children have been born: Marius (2001), Maria (2003), and Valentina (2008). Josep has two sisters (Olga and Francesca) and younger brother Pere who is the agent of Luis Suárez, the Barcelona and Uruguay national team forward. In 2018, Guardiola continues to work hard on preparing his team for future games. The famous coach has Twitter and Instagram accounts where he regularly posts videos from training and personal photos. Besides, there are many Internet materials about Josep’s biography and career (interviews, statistics, etc. ).